This concrete box girder bridge is the primary access the more than 19,000 residents of the Key Peninsula have to Gig Harbor. 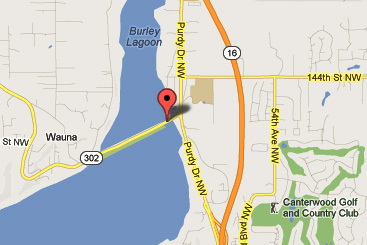 Betty Fengel swears she knows next to nothing about the Purdy Bridge. “I can hear it, I can see it and it is a fact of my life,” said the 59-year-old Fengel who has lived on the Key Peninsula for the past 35 years. You see Fengel is employed at the Union 76 gasoline station in Burley, Wash. She literally works in the shadow of the concrete structure that connects more than 19,000 people living south of the Purdy sand spit to Gig Harbor. In July of this year, the Purdy Bridge will mark 31 years of being listed in the National Registry of Historic Places. Although it is hard to tell simply by looking at this humble concrete structure, it has a notable history and an enviable design pedigree. The Purdy Bridge cost $62,000 to build in 1937. 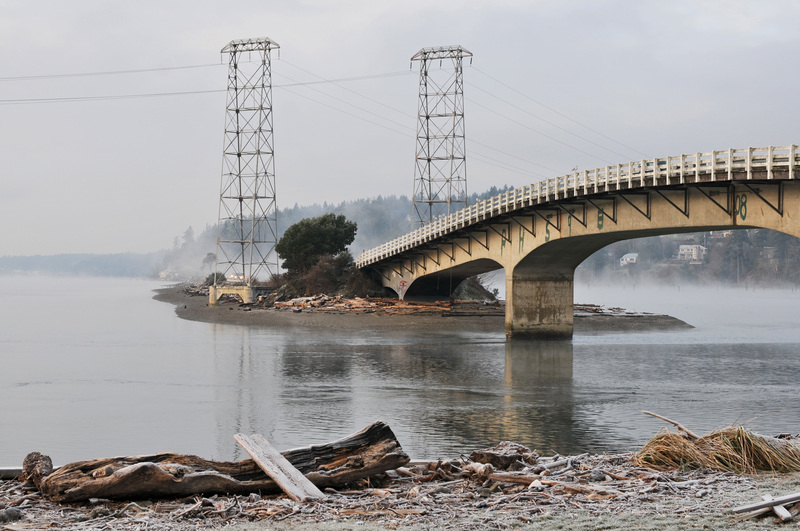 This 550-foot bridge that spans the strait connecting Henderson Bay to the Burley Lagoon was cutting-edge design when it was built in 1937. The concrete box girder construction method used to build the bridge was popular in Europe at the time but hardly seen in America. The method was cheap and allowed for a design that was “visually powerful in its organic structural simplicity,” according to Lisa Soderberg in a report to the Historic American Engineering Record in 1979. “I don’t mind the bridge,” said Ralph Bravo, 56, because it gives him a way home to a place that “is secure… that is quiet.” Bravo commutes from Herron Island to Ollala where he works on the maintenance staff of the Peninsula Pet Lodge. It is a structure that perhaps only commuters can love. For the thousands of motorists who traverse the concrete span each day, it is a practical reality. What many of them do not know is that they are driving over a structure that has national recognition as a historic place. 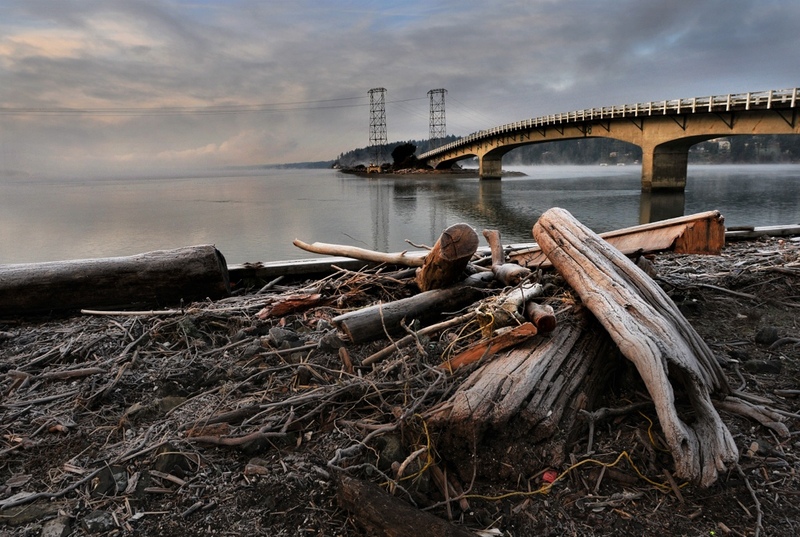 “This bridge was one of many others nominated” to be included in the registry of historic places, said Craig Holstine, of the Washington Department of Transportation. The nominating process, Holstine explains, is a long and tedious process that go through the bureaucracy of two state agencies and a local historic preservation committee. Factors in a nomination include when a structure was built, the design used and its inherent importance to a locale. 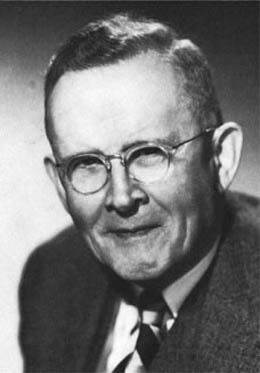 Homer Hadley was known for his design of concrete box girder bridges. Although he never worked for the Department of Highways, he influenced the design of several bridges. According to Holstine, Hadley influenced the designs of the Squally Creek and Mashell River bridges, and the McMillin, a concrete truss bridge, all in Pierce County. But Hadley is most famous for his determined advocacy for the design of the Mercer Island Bridge, also known as the Lake Washington Floating Bridge that was completed in 1940. 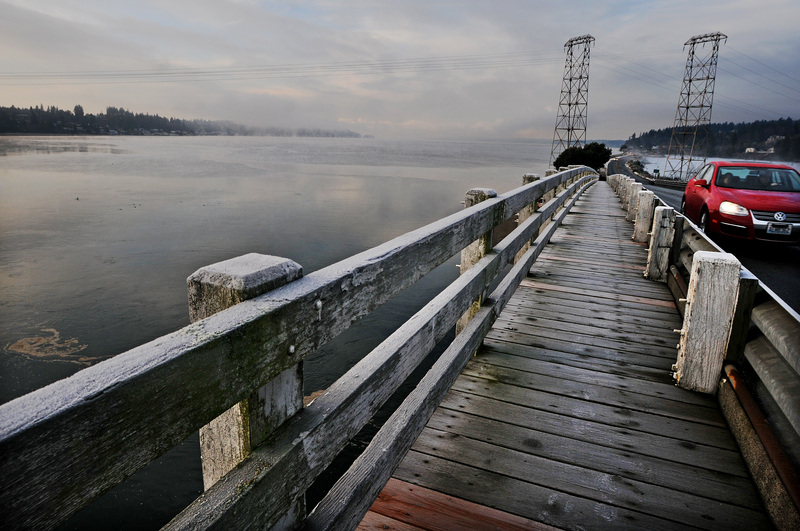 There were three other bridges built on the Purdy sand spit — with the first built in 1892. Two other bridges followed in the next 30 years. According to Priscilla Long, a senior editor at history.org, an online encyclopedia of state history, the current bridge was conceived under a cloud of discord with residents suing over the building of the third bridge in 1920. In the end, the overriding reason Hadley’s design won out was the cost. His design cost $62,000 or roughly $5.64 per square foot to complete the bridge. 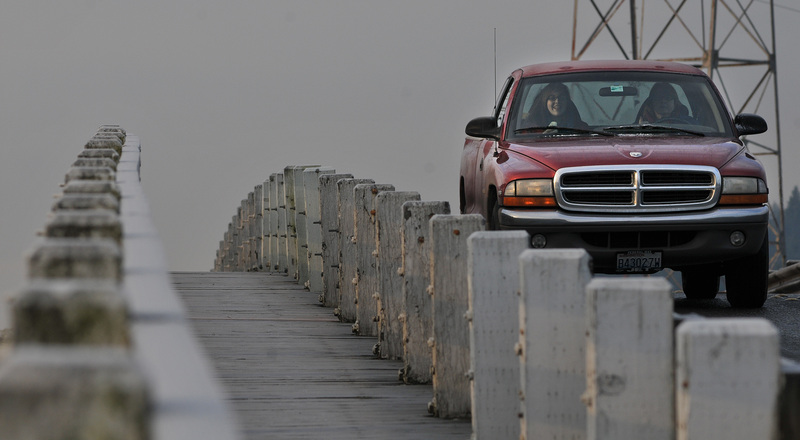 The Purdy Bridge’s pragmatic legacy continues today. But who can blame them with the view of Henderson Bay and the Burley Lagoon outside their windshields. The beauty of Henderson can often be a driving hazard for distracted motorists. This historic bridge is only 20 feet wide from curb to curb.